The Liberal Democrats – currently in coalition with the Conservatives – have hinted at supporting the opposition in calls to postpone the proposed takeover. 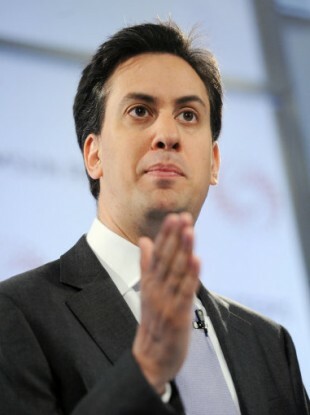 Labour party leader Ed Miliband. UK LABOUR LEADER Ed Miliband has pledged to force a House of Commons vote in order to delay the proposed takeover of BSkyB by News Corporation until an full investigation into phone-hacking allegations against the News of the World is complete. The News of the World published its final edition today, following widespread condemnation over allegations that the newspaper’s staff had hacked into the phones of murder victim, as well as claims that it had paid police officers for information. Miliband urged News Corporation boss Rupert Murdoch to take action over Rebekah Brooks, the former editor of NOTW and current chief executive of News International, reports the BBC. Brooks has maintained her position despite calls for her resignation. Miliband told the BBC: “We’ve seen this week the head of the Press Complaints Commission say she was lied to by News Corporation. We are expected to believe from (culture secretary) Jeremy Hunt that he can go ahead with this process, this takeover of BSkyB, on the basis of assurances from the NC. I don’t believe that’s acceptable”. Meanwhile, the Liberal Democrats – currently in coalition with the Conservative Party – have hinted that they might support Labour in a move to force a Commons vote, the Guardian reports. Email “UK Labour leader calls to delay BSkyB takeover ”. Feedback on “UK Labour leader calls to delay BSkyB takeover ”.